The autumnal equinox is now behind us, and we are heading headlong into the season. That means football, baseball playoffs, leaf peeping, elections, October fests, and so on will be taking place all over the U.S. So will the flu. According to the Centers for Disease Control, while seasonal flu viruses are detected year-round in the U.S., flu viruses are most common during the fall and winter. The exact timing and duration of flu seasons can vary, but influenza activity often begins to increase in October. With this in mind, what can you do to prevent employees from abusing FMLA leave this coming flu season, whether it be football, a simple case of the flu, or any other non-FMLA qualifying reason? Enforce your call-in policies. If your call-in policy indicates that employees need to call in at least one hour before their shift, and an employee does not have a reasonable explanation for not complying with the policy, you may deny FMLA protections. Request certifications when applicable (don’t request one if leave is solely for bonding with a healthy child). Review the certifications thoroughly and compare the information to the definition of a serious health condition. While the flu might not rise to the level of a serious health condition, it could. You need to ensure it meets the definition. You receive information that casts doubt on the employee’s stated reason for leave or the continuing validity of the certification. Inform supervisors when to expect employees to be absent, and maybe get your supervisors and managers to help report suspected abuse. Listen to coworkers, as they sometimes disclose information that might lead you to suspect abuse. Some people can’t help posting selfies, even if they provide evidence that they’re committing fraud. Do not ask for a doctor’s note for each instance of intermittent leave. Neither the courts nor the DOL look upon this practice favorably, as they are seen as recertifications and, therefore, need to play by the recertification rules. Train your employees on reasons that DO NOT qualify for FMLA protections, and remind them that you take the FMLA seriously (particularly if your employees have a history of leave abuse). If you’ve ever wondered why the flu begins in the fall, research from the National Institute of Health found that at winter temperatures, the virus’s outer covering hardens to a rubbery gel that could shield the virus as it passes from person to person. At warmer temperatures, however, the protective gel melts to a liquid phase. But this liquid phase apparently isn't tough enough to protect the virus against the elements, and so the virus loses its ability to spread from person to person. Too much information on the flu? Well, the FMLA information is designed to help you plan for the upcoming season, no matter what bugs it brings. 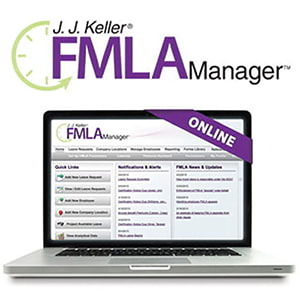 J. J. Keller® FMLA Manager™ Service makes leave tracking easier while complying with the latest federal & state regulations.